In the book Siebold highlights every aspect of becoming wealthy; from beliefs about the root of all evil to faith in what drives the financial markets, and what parents should teach their children to set them up for financial success. Average people on the other hand view such as a negative, and it’s that mentality that keeps them in their state of scarcity. “If you’re not taking care of you, you’re not in a position to help anyone else. You can’t give what you don’t have,” asserts Siebold. While the majority are waiting on miracles to happen, the achievers are solving problems, Siebold says. “People who believe that their best days are behind them rarely get rich, and often struggle with unhappiness and depression,” states Siebold. 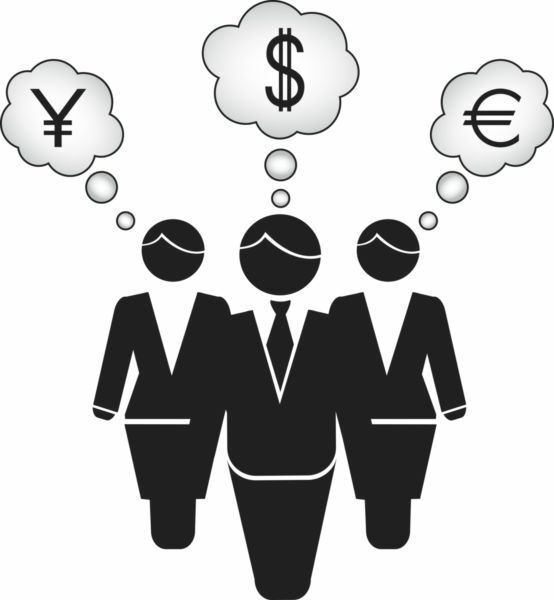 Rich people think about money logically… while average people see money through the eyes of emotion. An ordinarily-smart, well-educated and otherwise successful thinker can be turned into a fear-based, scarcity-driven thinker whose greatest financial aspiration is to live a comfortable life in retirement, Siebold declares. Whilst the masses see money for what it is and what it’s not, through the eyes of logic, the great ones know that money is an essential tool that brings with it options and opportunities. Rich people follow their passion… while the average people earn money doing things they don’t love. The average person thinks that the rich are always working. However, the difference is that rich people do what they love to do and find a way of getting paid for it. In comparison, the working class are in positions they don’t like because they have been taught from an early age to think and live in a linear world that balances earning money with physical or mental effort. Rich people are up for the challenge… while average people set low expectations so they’re never disappointed. “Psychologists and other mental health experts often advise people to set low expectations for their life to ensure that they are not disappointed,” suggests Siebold. Rich people would rather be educated than entertained… while the average people would rather be entertained than educated. Even though rich people do not rely heavily on formal education to further their wealth, they appreciate the power of learning long after their studies are completed. “Walk into a wealthy person’s home,” suggests Siebold, “and of the first things you’ll see is an extensive library of books they’ve used to educate themselves on how to become more successful.” In the meanwhile, the middle-class are busy reading novels, tabloids and entertainment magazines. The main goal for the middle-class mindset is psychological, physical and emotional comfort, says Siebold. “On the other hand, the rich learn from an early age that becoming a millionaire is difficult and the need for comfort can be devastating. The world class thinkers learn to be comfortable while operating in a state of uncertainty,” adds Siebold. Rich people know when to take risks… while the average people play it safe with money. “Leverage is the watchworld of the rich,” Siebold affirms. Steve Sieboldis a former professional athlete and national coach. He’s spent the past twenty-six years studying the thought processes, habits, and philosophies of world-class performers. He’s a writer, speaker, and consultant on the topic of mental toughness. His clients include Johnson & Johnson, Toyota, and Procter & Gamble. He’s written five books on mental toughness, two of which have become best sellers with over 130,000 copies in print. His national television show,Mental Toughness with Steve Siebold, won the 2007 Telly Award for best motivational show. He has been interviewed on theTodayshow,Good Morning America, ABC News, FOX Business Network, the BBC in Europe, NBC Australia, and dozens of others. He is in the top 1 percent of income earners in professional speaking. 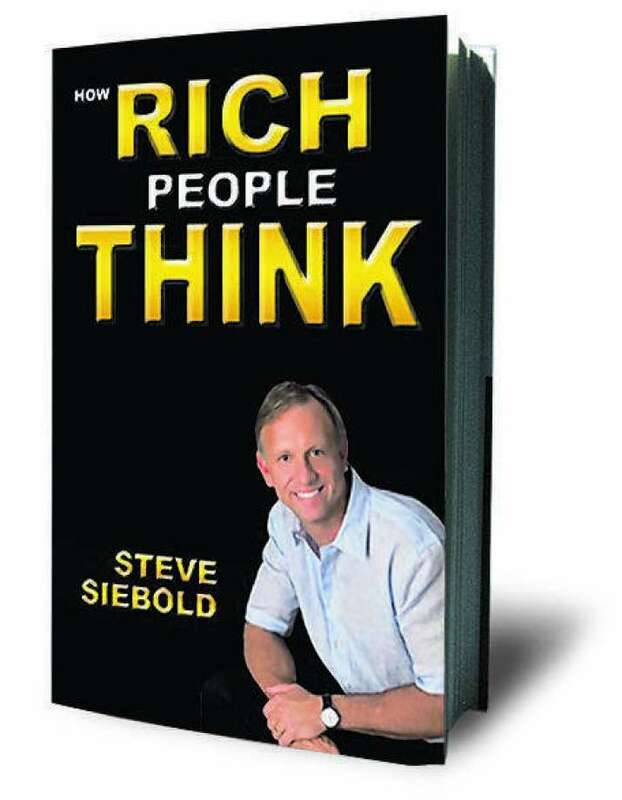 Just Google Steve Siebold How The Rich Think pdf. You can download the ebook for FREE. as no one else understand such designated about my problem. it might not be a taboo subject but usually folks don’t talk about these subjects. mаy you be rich and continue to help other people. upon till now. However, what concerning the conclusion? Did you make this website yourself oor did you hire someone tto do it for you? would like to find outt whdre u got this from. feeling I came upon exactly what I needed. I so much definitely will make certain to don?t overlook this web site and provides it a glance on a continuing basis. and in my opinion suggest to my friends. I am sure they’ll be benefited from this web site. ɑnd loⲟk forward to new updates. web page and reading very informative content at this place. Please email us at admin@anunlimitedamountofmoney.com to find out how to write articles for us and to receive some hints. visiting this web site dailly and get fastidious data from here all the time. I’m not positive whether or not this post is written through him as no one else realize such particular about my problem. I’m pretty pleased to find this website. I wanted to thank you for ones time just for this wonderful read!! I definitely really liked every part of it and i also have you bookmarked to see new stuff in your blog. I am really grateful to the holder of this site who has shared this great paragraph at at this place. slow ffor me. Is anyone else having this issue or is itt a issue on my end? I’ll check back later on and see if thee problem still exists. It could be the browser your using. Which browser are you using? giving me the opportunity to pursue my chosen career path. Thanks for the compliment please spread the word and come back again. Auspicious is exactly what we were going for. Thanks You. You can use the contact us page or just write in the comment box. so now i am following you. Look forward to checking out your web page again. posts. In any case I’ll be subscribing on your feed and I am hoping you write again very soon! Aрpreciate this post. Will try it out. You’re so interesting! I don’t suppose I have read through something like that before. niche as yours and my visitors would certainly benefit from some of the information you present here. just about everywhere you go! pleasant and the people are in fact sharing good thoughts. I got this site from my buddy who told me regarding this site and now this time I am visiting this web site and reading very informative articles here. back later on. I want to encourage that you continue your great work, have a nice evening! recommend you few attention-grabbing issues or suggestions.